We kicked off 2017 by diving right into genre fic. Specifically, urban fiction. We read This could Be Us But You Playin‘ by Cachet. Mollie lays out the plot, Danielle remains bougie and bitter, and in the end, we take up that age-old debate of art vs. commerce. All in all, not a bad way to wrap up this book. Next time, join us as we discuss Morgan Parker’s new book of poetry, There Are More Beautiful Things Than Beyonce. Have you read This Could Be Us But You Playin’ or another urban fic title? Want to contribute to the debate? Got a book you think we should check out? Tweet us at @blackchicklit. Ahhhhhhh! My first podcast mention. I am queen of the world now. (lol) Loved the episode. Yes it was a bit disjointed. But the chemistry between you two really is evident. Ok let’s talk urban lit. I am all for black folks telling their stories in all its urban glory, and I am all for creative spaces, producing and getting it out there, but as a Graduate level educated woman I just believe you have to pay the cost to be the boss. Learn. the. craft. Ok we all can’t afford college, I get that, maybe not even an editor, but study to show thyself approved. There are all kinds of classes, books in libraries, to learn from to put out a great product. And lets be real even if you sold 12000 books which is the average book sale totals, at .99 per book from a dude who’s publishing (and I say that loosely) and the author receives the standard 10% of sales. You made $120.00 but maybe your grandma came by and a few aunties and they said, “Oh no baby we’re going to pay at least 5.00, you know grandma always pulling out a 5.00 from the brazier, then you made a smooth 2-300. C’mon Smalls you killing me. You know Cachet mad, cause you’re better than that. Understanding structure, plot development, characterization, complexity, and thematic arcs are crucial to developing as an author, not writer but professional author. And to put out a product with spelling and grammar issues is unacceptable. Its for the better of your growth and development if nothing else. Excellence precedes making money every time. Yeah its cool you wrote a book but don’t you want to honor your reader with putting out the best product . Don’t we deserve it. And even the longevity of the your career as a writer gives you few options when trash was at the onset, it creates an obstacle to overcome when ready to open more doors. And I love a good B movie by my people. But literature I can’t do it. I remember Tyler Perry wrote a Madea book, first book I did not finish. Terrible. And I support 85% of his work. I think the standard has to be higher in literature than just making money. Ok yes I write long comments. I love Indigo she is my favorite and I don’t really do romance. But Beverly Jenkins is a model for me and tells the stories I want to tell, her Blessings Series is pure joy and won an NAACP Image award. I get the whole YA lovers (the over 40 momma in me working with low income families screams go sit down and learn something) but I am very interested in American Street and just finished Everything, Everything by Nicola Yoon and it was Everything. Very well done. Hey what about Bernice L. McFadden The Book of Harlan. and I have a critique partner that has her first book in a three book deal out from Brown Girl Publishing called Daddy’s Baby out. Would love to hear your thoughts. You ladies keep it up, you don’t have to agree, I appreciate that, keeping it real, unfortunately the lawyer may win every argument. Have a great March, and I’ll keep listening. 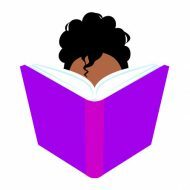 The Black Chick Lit Podcast features in-depth discussions of the latest and greatest works penned by black women. Join Danielle and Mollie as they talk prose, judge every character’s decisions and laugh at their own jokes. Find us on iTunes and Google Play Music.